Here at CWS we offer a wide variety of filters and cartridges to remove chemicals and make your drinking water safe for consumption. We can supply single, dual, three stage all the way through to five stage Reverse Osmosis filter systems. Celtic Water Solutions are experts in providing domestic and commercial water filters, we provide water solutions to a wide range of customers across Ireland. Each of our customers has a unique requirement, and our highly skilled team ensure you get the best products and service available. Our products vary from Whole House Water Treatment Systems to under sink water filters. Under sink filters, such as Reverse Osmosis Systems, and Ultra-filtration Water Filters, promote healthy living by filtering tap water directly from your mains water supply removing impurities from your family’s water supply and eliminating the inconvenience of buying bottled water. With many of our water filters, a unique tap is incorporated into your kitchen sink area. The FT-Line 3 (3 Stage Water Filtration System) is versatile economic and advanced home filter systems on the market today. Our useful FT-line systems will ensure you have a continuous supply of ultrafiltered, dechlorinated water. The FT Line 3 has been designed with the residential user in mind. It guarantees the maximum quality of your water. Its ultrafiltration membrane protects the water from viruses and bacteria. This high quality water filtration system provides an unlimited supply of clean and fresh tasting water, on demand, in a stylish and convenient system. 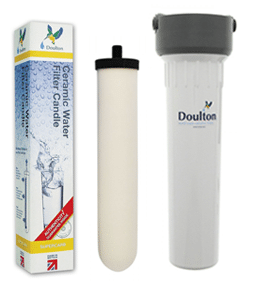 Doulton Water Filters have now been manufactured for over 185 years, at this time it was discovered that filtering water through a porous ceramic could stop people becoming sick from cholera and other water-borne diseases. 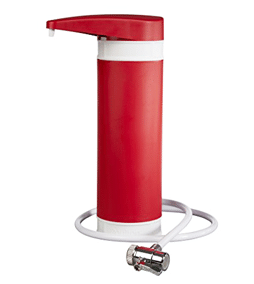 Check out a new counter-top water filter unit that is connected directly to a tap. Portability, easy installation, modern design, high quality and affordable price – that’s what makes it unique and why you should have it! It’s an excellent economical solution for your home kitchen, school accommodation, holiday home or office kitchen, where healthy filtered drinking water is needed. The highly engineered design removes contaminants, sediment particles, yet retains vital minerals found naturally in water! 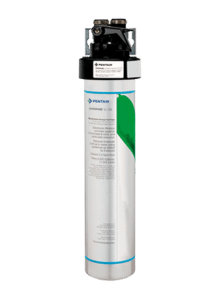 S-100 combines the Everpure’s exclusive precoat filtration technology Micro-Pure and a unique pleated filter membrane to trap particles as small as ½ micron. Chlorination is the main method used to treat water before it is added to the mains, killing bacteria in water — however, many people dislike the taste. Some companies provide water filters to improve its taste but only in the form of disposable plastic housings containing a filter media. At Celtic Water Solutions, we never lose sight of our goal to enhance your quality of life, by providing you with a healthy source of drinking water. Click the link below to find out more. When Shower Filters are installed on your shower it removes chlorine and other chemical elements in such a way that your essential skin and hair proteins don’t become white washed by the tap water.